2nd prize - best sativa - HighTimes Cannabis Cup 2007 This strain amazed everyone at the 2007 Cannabis Cup when It was awarded 2nd prize for best sativa, the year after Mako Haze won the sativa Cup! 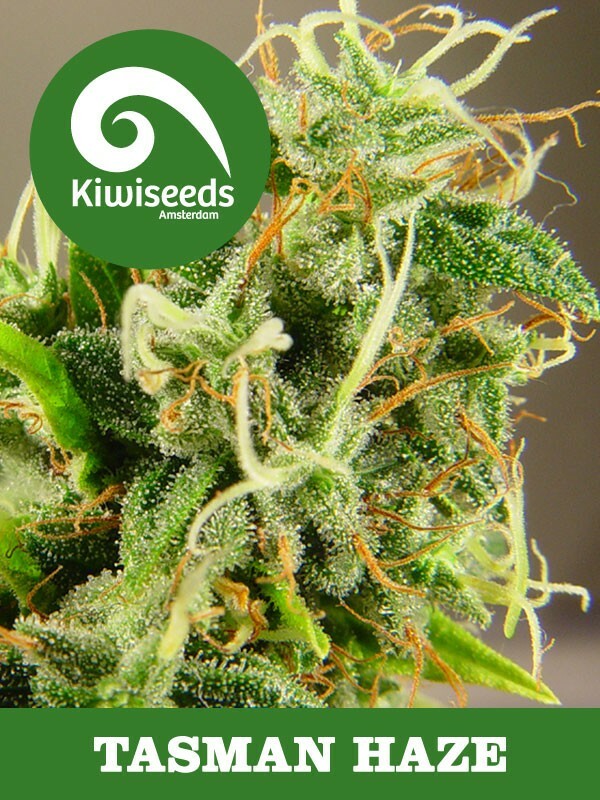 This win cemented Kiwiseeds reputation as leaders in the cannabis breeding world. Strong growth with dense buds all the way up the branches thanks to the haze/sativa influence. The father to this plant is 40% indica, hence the pungent aroma of Tasman Haze which ends up covered in crystals. The mother is a 100% sativa giving the rich, spicy undertones typical of the Tasman Haze. A strain fit to satisfy any explorer!